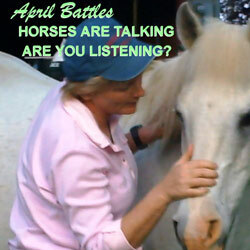 April Battles of Holistic Horseworks LLC has many educational DVDs and YouTube videos available about how to work on your horse yourself. 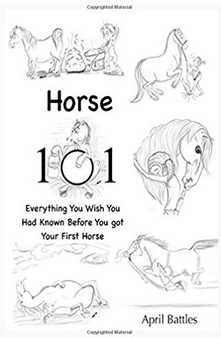 Horse 101 – Everything You Wish You Had Known Before You Got Your First Horse is her first book and is a good chuckle for first-time horse owners as well as experienced ones. 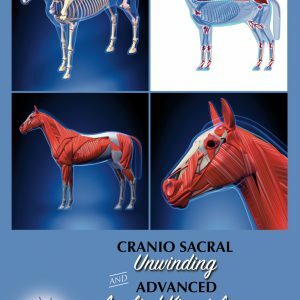 Horse 101 will provide you with the basic information you need to know to purchase the right horse for you, what to feed it, how to take care of it, how to train it, and how to handle horses safely. She hopes that you enjoy the cute illustrations. Information on how to contact April and her certified instructors is included at the end of the book. 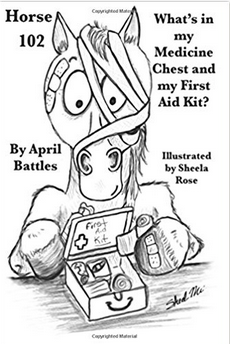 Horse 102: What’s in My Medicine Chest and First Aid Kit?